MARCOM’s “Bloodborne Pathogens in Commercial and Industrial Facilities" Compliance Manual has been created to assist facilities in complying with the OSHA Bloodborne Pathogens Standard (29 CFR Part 1910.1030). The manual reviews the regulations and their compliance requirements, as well as provide all the materials necessary to help meet these requirements. Bloodborne diseases are a serious concern in the United States. "Hepatitis B" infects over 300,000 people annually, and has over one million "carriers" in the United States. The HIV virus, which usually leads to AIDS, currently infects over three million people. Because of the increasing problems with these diseases, OSHA passed a "Bloodborne Pathogens" regulation in 1991. Areas covered in the Manual includes background of the standard, major compliance requirements, selection and use of compliance tools, a "fill-in-the-blank" exposure control plan (universal precautions, other control methods, work practices, protective equipment, housekeeping, vaccinations, and signs and labels), employee training, a glossary of terms, forms and procedures, and more. By filling in the spaces provided in the "Exposure Control Plan" section, any facility can create a complete written program that will meet all the requirements of the regulation. And the Forms and Procedures section contains all the forms and procedures needed to implement a complete compliance program. 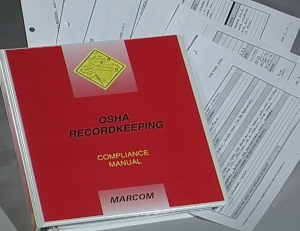 Compliance Manuals are available for the following types of facilities and operations: Commercial and Industrial Facilities, Healthcare Facilities, and First Responders.